Bateleur Bushveld Camp, which borrows its name from the spectacular bird of prey, offers an equally beautiful accommodation option approximately 40 kilometres south west of Shingwedzi. Situated in the northern Mopane / Woodland savannah of the park, the surrounding bushveld is truly beautiful and unique. 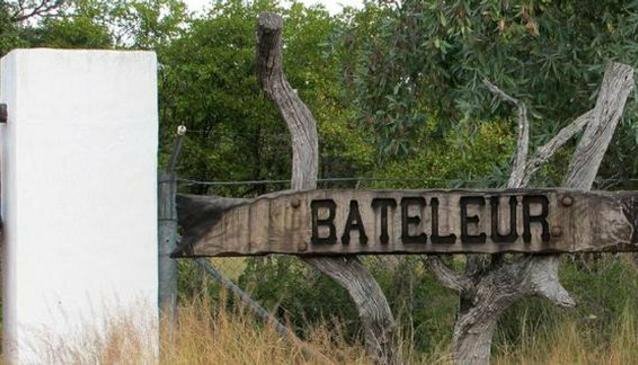 Bateuleur Camp also has exclusive access to these beautiful dams, and are the perfect escape for guests when the main roads get congested during peak season. Bateleur also has a fantastic hide overlooking a waterhole just outside the camp, which offers tranquil and thrilling sightings of various wild and birdlife. All of the above combines to make this a truly special camp within the Kruger Park. Common in the area: Wildebeest, Zebra and buffalo. At the same time, birdlife abounds in the region, particularly around the nearby dams of Rooibosrandt and Silvervis, with sightings of Yellowbilled Storks, African Fish Eagles, Spoonbills and Knobbilled Duck common at these locations. With just four four-bed and three six-bed cottages available, a tranquil getaway with good chances of game viewing is almost guaranteed. There is a public telephone, mini shop (firewood, ice, phone cards), and boma braai facilities. Day visitors are not permitted From this camp, guided bush walks and game drives can be organized. There is a small, but well equipped and modern Conference Centre (see Virtual Tour) - for further details please go to General Kruger Park Conference Information.